For those of us who skipped making New Year’s resolutions, the enterprising Aries New Moon on March 27, 2017, offers another opportunity to set new intentions in motion. Resistance falls away now, leaving us without any excuses. We can visualize a final destination, and there’s no reason to delay getting started. However, we might swing into action too quickly since Aries has only one setting: yes. Thankfully, a small dose of caution plays well now. You’re pleased to find that your vigor has returned just in time to start the week, and you’re eager to up your game. It’s your job to direct your strength in the most productive way possible when the ardent Aries New Moon activates your 1st House of Self. You’re likely to be so zealous that you throw yourself into the first thing that strikes you as relevant. While you’re anxious to make the most of the day, you must also think in terms of the long haul instead of rushing toward instant gratification. Do something that your future self will thank you for. Your imagination is wide awake and you can’t wait to put it to good use. You’re convinced that your efforts will result in something marvelous when magical Neptune casts a spell on macho Mars in your sign. Applying your energy will have effects that outlast the creations you produce while the pioneering Aries New Moon highlights your 12th House of Destiny. You’re planting seeds, whether or not you’re aware of it, so make sure your projects are birthed from positive intentions. Stop watering the weeds in your life and start watering the flowers. There are some considerations that you prefer to leave in the back of your mind for a time when you feel more ready to tackle them. But frittering away cosmic gifts to escape into a private fantasy isn’t in your best interest, even if doing anything else sounds like too much trouble. You won’t regret pulling it together when the passionate Aries New Moon blesses your 11th House of Hopes and Wishes, inviting you to sketch your dreams and create a bold plan to achieve them. You can rest easy once you know you’re investing wisely in your future. You’re beginning to realize that yearning isn’t enough and you need to give your dreams substance to make them real. 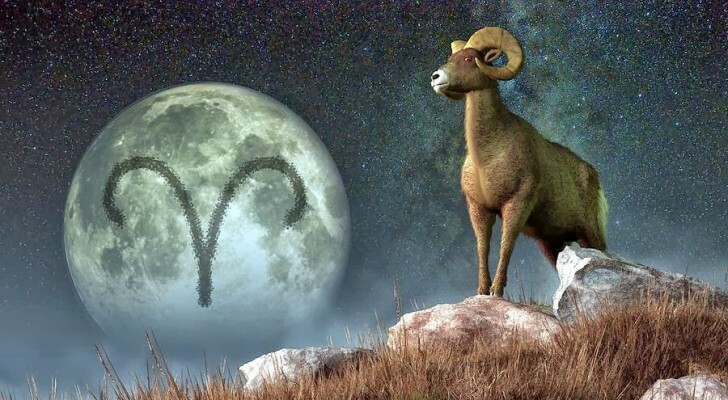 Fortunately, the courageous Aries New Moon lands in your 10th House of Ambitions, reigniting your sense of purpose and motivating you to get down to business. Hold your head high and face the future with greater certainty. There’s no limit to what you can achieve with an iron will and a golden vision. There is always more you could learn in this ever-expanding world, but it’s time to consolidate your knowledge and transform it into a plan for action. The enterprising Aries New Moon broadens your 9th House of Vision, where conceptual understanding becomes a fuel source for realistic progress. Aldous Huxley wrote, “Dream in a pragmatic way.” Shoot high enough to push yourself, but low enough to guarantee victory. It’s all too easy to listen selectively when there are matters that seem too complicated to unravel on a normal day. But you have a chance to set things right by choosing a healthier way to cope when the Aries New Moon falls in your 8th House of Intimacy. You’re willing to go to considerable lengths to keep others happy, but your ability to compromise can be utilized in a more productive manner. Your own needs must factor into the equation when the Aries New Moon galvanizes your 7th House of Others, even if it seems like altruism is the solution. You may find yourself putting your foot down, fortifying your boundaries or simply reinstating a policy of honesty with someone close to you. A promise of perfection isn’t worth as much as a promise you can keep, no matter how small. It’s tempting to let someone persuade you to indulge in some worldly pleasures. But you have an obligation as custodian of your own body to take better care of yourself. There’s no more time for excuses when the dauntless Aries New Moon energizes your 6th House of Health. Strengthen your resolve, kick bad habits, and immediately replace them with good ones. However, your plan must be sustainable for you to benefit from it; start slow and finish strong. You’re secretly wondering if anyone would care if you flaked on your responsibilities. You might figure if everyone else pitches in, no one will notice you’re missing from the action. Although you could feel invincible when the daring Aries New Moon fires up your 5th House of Play, you’re likely to get caught if you skip out on your boss or coworkers. It seems as if things are coming full circle on the home front. There may be remaining static in the air, but happily it can be channeled into a new plan to move forward when the Aries New Moon catalyzes your 4th House of Home and Family. A shift in dynamics could be as simple as giving someone a chance to vent their frustrations or finding creative ways to have more fun with the ones you love. You’re often so self-sufficient that you honestly forget that there are valuable assets other people can offer you. You may already have a project in mind when the Aries New Moon pulsates in your 3rd House of Information, but the cosmos encourages you to ask a friend to assist you in your new endeavor. You can pull it off if you step out of your research lab every once in a while to get an outside opinion. Expanding your horizons ensures the success of anything you touch. You’re living by the motto, “if you don’t stand for something, you’ll fall for anything,” and you’re passionate about letting people know how you feel. The Aries New Moon in your 2nd House of Values reinvigorates your desire to recommit to your highest priorities, and naturally you want to share your excitement with others. But make sure to verify your sources before you spread the word. Although attitude is important, so are the facts. If you don’t do your research, you may lose credibility; integrity is the name of the game.